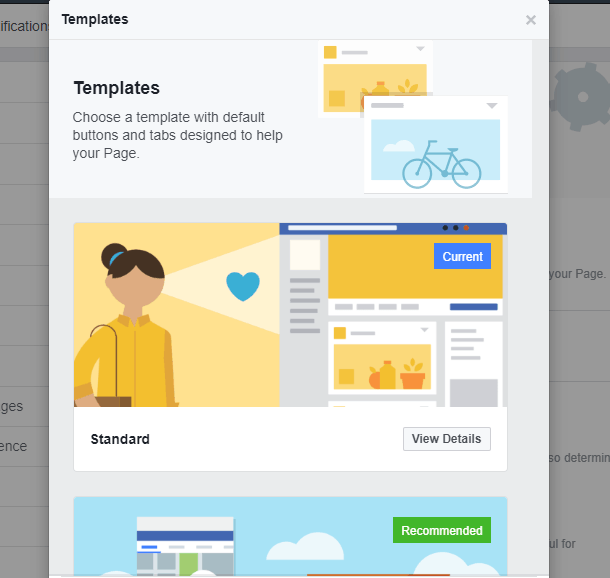 Last week Facebook announced it was making some significant changes with regard to how business pages make connections on Facebook which you can capitalize on to increase sales. Along with the constant changes to the algorithm, in early 2018 Facebook made it clear that it wants to bring people closer together. 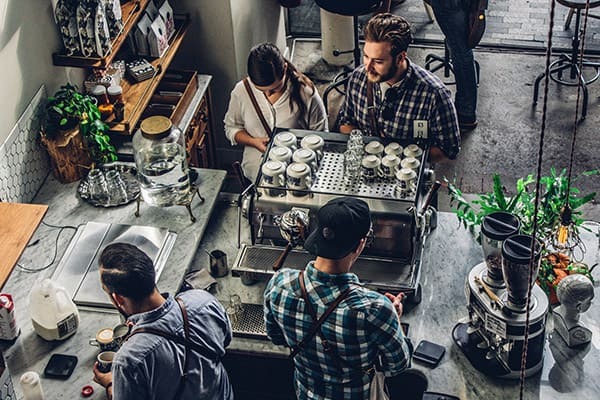 However, it’s possible in doing so they’ve made it increasingly harder for restaurants and other businesses to get their posts noticed in the newsfeed. Could these recent updates be a step in the right direction in getting you more noticed and thus more sales? The answer is yes! Our unique approach to humanizing social media works within that ever-changing algorithm to get your business page noticed more (which you can read about here). But let’s take a look at these recent changes and how that will impact your restaurant businesses on Facebook. Most of these recent Facebook updates focus on functionality in the mobile app as that’s how the majority of people access Facebook. 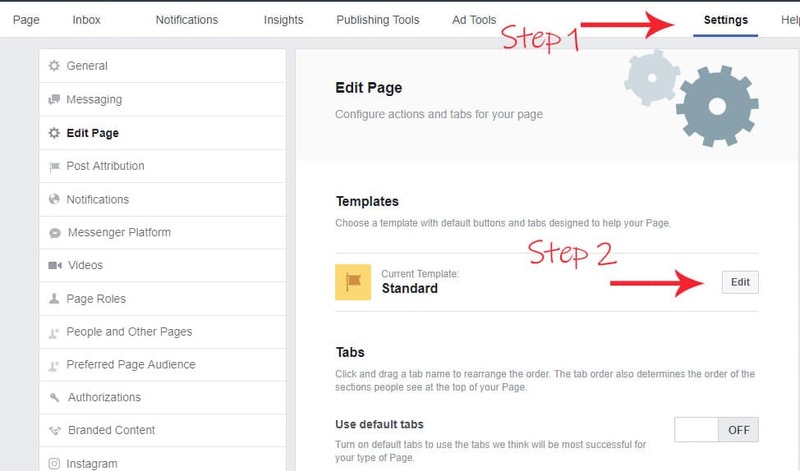 Facebook has simplified your page to prominently display those items which are most likely for visitors to take action on. These action buttons allow them to do things like get directions, place an order, book an appointment or write a recommendation. Make sure that your page as an appropriate action button, select the appropriate template that makes the most sense for your business. Finally, stories are available for businesses! You might have seen a friend’s story or even created stories for your personal account. Stories allow you to share pictures and/or short video segments that tell a story about your business. 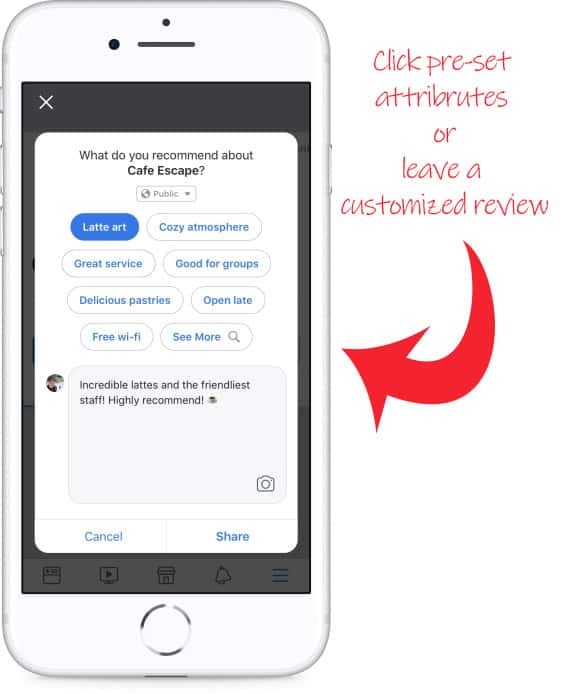 Viewable for just 24-hours, these snippets “engage your audience in a more frequent, authentic and casual way to develop deeper connections (Facebook)”. The exciting part is that your business’s Page Stories appear at the top of a user’s News Feed in a highly visible area. This is a great way to reengage those who may not otherwise see your posts in the news feed. At any point while your story is running you can see how many people have viewed it and interacted with it. 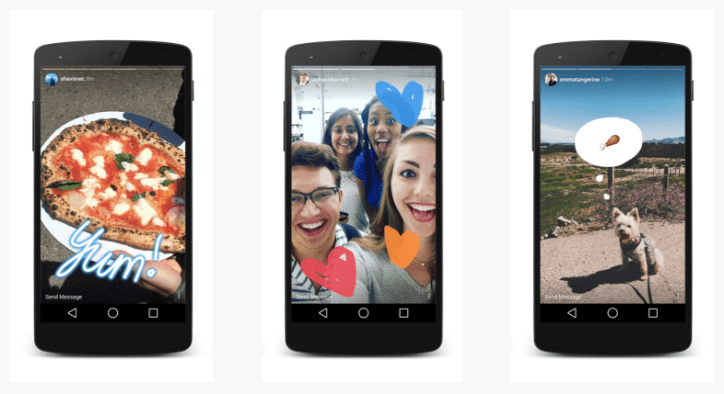 Users can also view your Page story by tapping on your mobile page's profile picture. Facebook has it made it easier than ever for your guests to review and recommend your business to their friends. As soon as they visit your page they can either view recommendations/reviews left by others or leave one of their own. The rating is more prominent so that new-comers can easily see what others think of you. 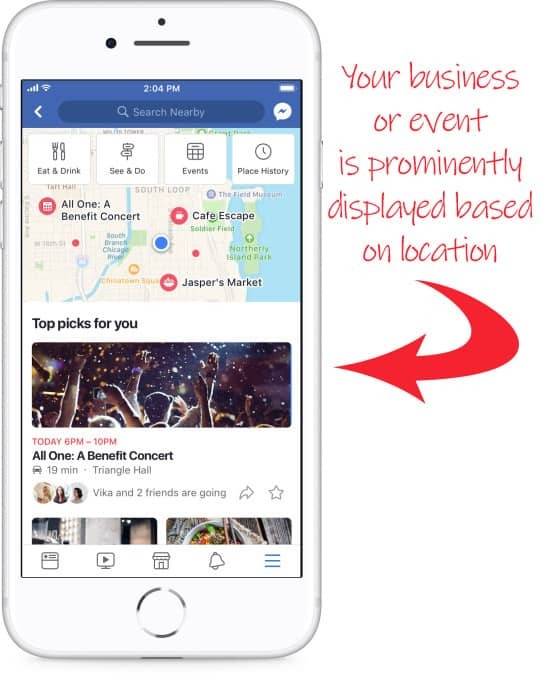 According to Facebook, 700 million people use their Events feature each month to find things local to do. Now local events are more prominent within the Facebook app. And with a new ticketing integration, it will not only make it easier for customers to make ticket purchases but easier for businesses to manage remittance. 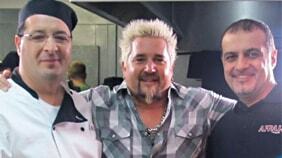 Restaurants can create events for special appearances, live music, festivals, fundraisers or other community events to generate awareness and goodwill. Facebook users now have a “Local” button in which they can browse local businesses. This makes it easy for your business to be spotted when someone is considering a place to eat, something to do, or needing your services. Upon choosing the activity such as “Eat & Drink” users will see a map as well as a list of establishments with review ratings, price point, dining category, and mileage. They can also view which of their friends have been to that restaurant. A lot of these updates are right in line with our philosophy of maintaining a humanistic approach to social media. When your potential customers browse local establishments and discover that their friends have visited they are likely to visit themselves. Also, when users click on your Facebook page and can instantly see what you’re all about by either viewing your story, hours, and ratings they’re more likely to click the action button and connect with you. And that results in more sales.